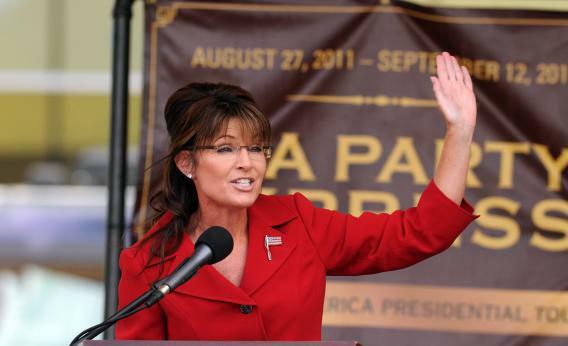 My new piece looks at the people whose livelihoods were tied to Sarah Palin. How will they cope without her? Well enough. [T]here were people like Peter Singleton, a 56-year-old lawyer from Menlo Park, Calif., who uprooted his life and moved to Iowa to organize for a possible Palin campaign. He became the best-known activist in “Organize for Palin.” He was approached by reporters for hints of what Palin would do with herself, even though he did not personally meet her until the Iowa State Fair two months ago. He lived out of “inexpensive hotels and friends’ apartments.” For his trouble, he heard the news like everyone else did. Ben Smith took a look at the same phenomenon, and if you want to read more sad reactions from conservatives who were counting on their ‘08 hero to be a new Reagan, have at it. One anecdotal thing I notice about both articles: They’re not burning up the charts. They’re being read, but not by too many people. Palin’s annuncement was bigfooted by the actual news of Steve Jobs’s passing, and on day two, interest in the Fox News pundit’s story is already waning. Yes, she’s a star. But admitting that you won’t run for president has a way of killing interest in what you’re doing. When’s the last time the national media hounded Mike Pence for a quote? Or Haley Barbour?